Jason Landavazo in the sales department provided perfect service with getting me my new Range Rover. His work ethic and professionalism is most appreciated and I will defiantly be a return customer. Thank You! No one "needs" a Range Rover I was told... during my purchase process. It's true. You want one. But if you have an issue with any car, it can be frustrating. ...and needless to say, you want your car back. However, after a fluke sequence of events I had an issue. 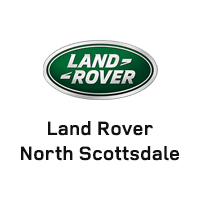 The service team @ Land Rover North Scottsdale made that experience (literally) as pleasant as it could be. My wife and I were amazed at the care, communication and service level we received. Literally second to none. Thanks Land Rover roadside assistance and a big "shout out" to Brian, Cheryl & Mike in service. Cheers to a job well done. Best car buying experience! Highly recommend! William and Terres were amazing. Huge help and made everything just smooth. Really made me feel welcome. Definitely my go to dealership moving forward. Just overall a great experience. I took my Rangie in for service when the rear door latch failed. I made an appointment with Shawn Moss who took great care of both me and my Range Rover. He was ready and waiting for me with my 8a appointment. My truck was promptly checked in and I was given a beautiful, new loaner vehicle. A part had to be ordered so they kept the vehicle over the weekend. He called me with updates and had the vehicle washed and ready when I came to pick it up. LRNS is one of the friendliest, most professional dealerships I have ever dealt with and Shawn is a great customer advocate and I highly recommend you book your service with him. Service Technician Carlos was efficient and complete in providing my Range Rover with needed service. He kept me informed and educated on the process, timing, and expenses. A great overall experience. Eric was really great I identify some of the problems and later Eric called me regarding other problems. He was very receptive to the issues discussed and he and his team completed everything within the time stated. Eric is very professional and proficient in all that he does and very personable in dealing with this customers . when my car was returned it was in great condition runs well nice and clean and a big smile and a handshake from Eric upon leaving and him reminding me that if any problems occur to give him a call . Eric sets the standard by which others in similar profession should emulate. thank you all for a great service experience.